Just like your blood, your eye has pressured—called intraocular pressure. When this pressure increases to dangerous levels, it can damage the optic nerve. The optic nerve is the part of the eye that carries the images we see to the brain. Glaucoma is a group of diseases that damage the eye’s optic nerve and can result in vision loss and blindness. That’s why controlling pressure in the eye is important. With early detection and treatment, you can often protect your eyes against serious vision loss. Glaucoma is highly treatable. 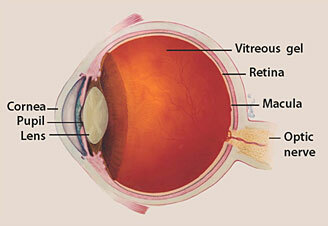 However, vision loss due to glaucoma cannot be restored and, if left untreated, glaucoma can lead to blindness. The key to preventing serious vision loss or blindness from glaucoma is early detection. An annual eye examination is recommended. The doctors at Haik Humble Eye Center can help control glaucoma with medications, laser procedures and/or surgery. If you are concerned about glaucoma, call today for an appointment.